Dina, what can i say excellent hostess, Booked flight no accomodation Phoned Dina she gave me a room for a week as George next door had closed up for the season. It wasn't till middle of week that i found out she was keeping apartments open so that i could have a weeks stay. The apartment was clean and tidy just what you need a no frills place to lay your head. Sheets and towels were changed twice in the one week. On arrival water was provided so tea could be made. On departure i asked Dina to book a taxi but they needed an extra 5 euros just for booking, Dina told me just to waken her at 3 in the morning and she phoned the taxis then. How many other places would have done that. I will definately be staying again. Dina was always on hand if you needed anything, not that i did apart from taxi. 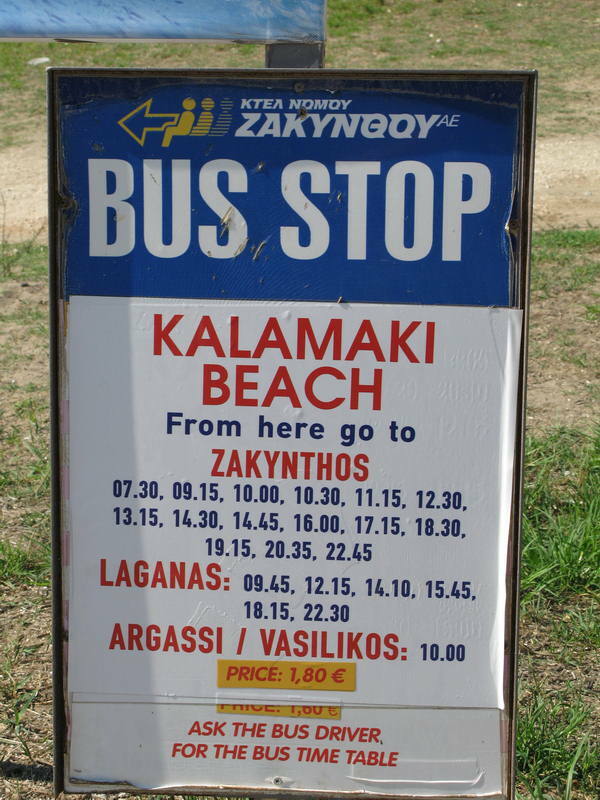 I have just returned from a week in Kalamaki. My mum and I booked to stay at Dina's Apartments and phoned before we travelled to explain we wanted twin beds. When we arrived, we were given a double bed and told that all rooms were like this, even though we found out later that twin beds were available. She offered us an extra single room at �35 per day. We refused to pay as the Venus Hotel only charges �30 per day and it has a pool, bar and other facilities. We had an extra bed placed in our room, but this made space extremely limited. We were also given a ground floor apartment even though we had asked for a first floor one. The first night we were there, the electricity box came away from the wall and I had to re-wire it to get the electricity to work! The one shelf provided was hanging off the wall at a 45 degree angle. The beds were changed once during the week. We were only given clean towels when we asked for them (and one each, not two!) and we had to buy our own toilet rolls. We were told the rooms were cleaned every other day, but people went into our rooms on other days without us knowing, because items were moved and rubbish taken away, even though beds were not made. Air conditioning was available but at a cost of �40 per week, which we found too much, but the room was swelteringly hot and we sweated constantly. Costas Pool Bar was recommended to us by Dina, but we found it ridiculously expensive - �17 for a breakfast of 3 toasts, two coffees and a tea. We also had to endure constant observation from Dina herself, who always seemed to be around every time we opened the door and this made us feel uncomfortable. On our last day, we were told to vacate the room at 10am, but at 9.15am (while I was still getting dressed!) she came into our room and said she had to take the extra bed away. I had to move my suitcase and clothes off the bed so she could take it away! All in all, this could have spoilt our holiday, but I didn't let it. However, I would not recommend anyone to stay there. Just returned from a fab week in Kalamaki. Loved the place, the people and the weather. We booked the day before we flew, so had no idea what we were going to. We need not have worried, as the apartment was very adequate, spotlessly clean and nicely situated for all amenities. The beds were changed once during the week and clean towels provided. The toilet paper bin could have been emptied, i feel, a bit more often. The Costa bar was very welcoming and the staff really helpful and friendly. The food at the bar was very nice, for a snack. The entertainment was very family orientated and everyone could join in if they so desired. The pool super and very clean, with plenty of sunbeds around. The only disadvantage with the apartment was the vacating time. We had to be out by 9am, which was very early especially as our flight was not until 9.15pm. A room was offered until 2pm, but at an extra charge of 20euros, which we felt was taking advantage of the guests. The air conditioning was expensive too, at 50 euros for the week, and you could not leave it on while you were out, as it needed your apartment key to operate the electricity. Apart from that it was fine. if you like being charged for electricity then this is the place to stay!!!!!!!! wouldnt ever go back!!!!!!!! we were made to feel very uncomfortable!!!!!! Great apartment, clean & comfortable, ideal location (especially for families) as use of 2 pools on your doorstep. Costas pool bar is perfect holiday place for adults & kids alike....dont miss the fantastic greek night!!! Dina is very nice & helpful, she lives in no.5! However be warned......dont go out and leave the air conditioning on!!!! Three of us have just had a fortnight in Dina's apartments and we found the studio very comfortable indeed. The studio was basically equipped, but all you need really is a bed, a bog and a shower - its quite cheap to eat out. The sheets and towels were changed 3 times and the Bathroom bin emptied (not a pleasant job!) Dina herself is indeed very pleasant, and will go out of her way to speak to you and pass the time of day - she lives in studio 5, so be good if you're in 6! There is some early morning noise from local cockerals, but nothing really to wreck your sleep - have some more Raki!!!!! All in all, when we return to Kalamaki and indeed we will, we will try to book in at Dina Studios. We are pleased to say that when we stayed at Dina's in June this year, we found our studio (in one of two small blocks), very clean and modern. It was exceptionally spacious with the nice feature of a high traditional wooden ceiling! The room was adequately equipped and it made a pleasant change to find a double bed! The only drawback was the lack of privacy, as the small two storey block opposite was only 25 feet across the pathway/gardens dividing the two. Our room would have benefitted greatly if there had been a curtain across the double glazed door - bring your own!! We found Dina herself a very laid back, easy going lady, who made us feel very welcome. The studios are only a 10 minute stroll from the resort centre, yet surprisingly located in a peaceful setting, and the beach was probably about a further 5-10 mins walk. We will certainly consider staying here again if we return to Zante. We hope this will be of use to any of you considering staying with Dina, and hope you will add your own comments sometime about any other accommodation you choose for your stay in Zante! Hi mate! Hope you didn`t get caught in that gale when you came back Sunday night! We got the first bit of it and I was well pleased to land. By the way, something interesting happened to Toploader clone before we left.......Ha! For a budget holiday the flats were quite roomy, cleaned every couple of days and nice and cool at night. Just 5 mins from the centre - and Dina (the lady who runs them) is lovely. Would definitely stay there again. Sundeep we are going from Manchester at 2 pm on the 23rd and coming back on the 30th - catch you over there! Hope the weather`s better than here!!! sundeep we are going that week too - it`s not far from the centre and near costas pool bar. where are you flying from? 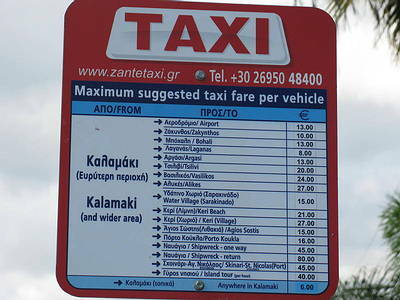 if you want more info on good places have a look on http://clubs.yahoo.com/clubs/zante?s and i`ve put some ideas on the message board a while back - any more info u need let me know!